This is what Colorado living is all about! 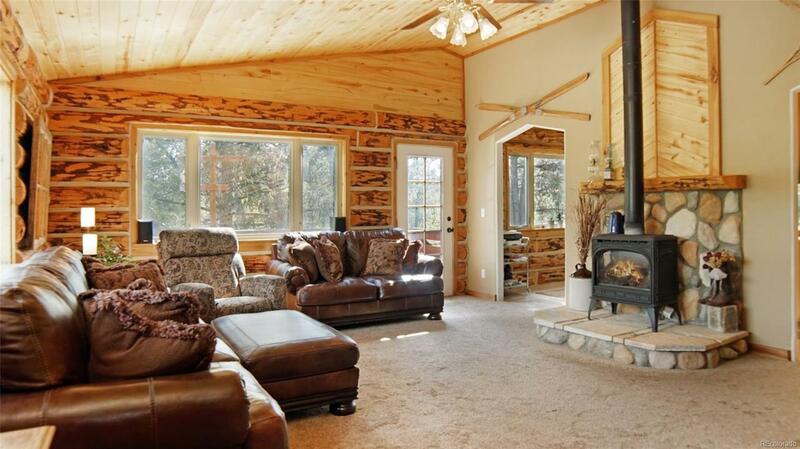 Gorgeous vaulted log home with 11" full logs, tongue & groove ceilings and walls, gas stove on river rock in main living area & open floor plan make this home charming, comfortable and & a must see. 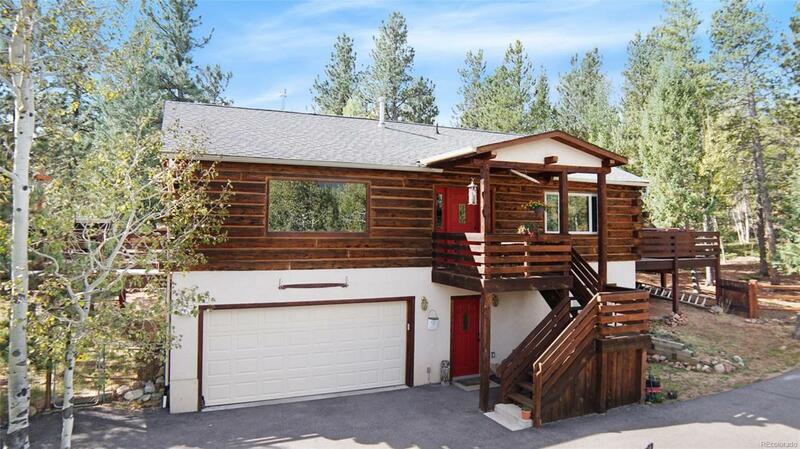 Incredible views from every window & easy access to Mt Evans Wilderness area. Open kitchen/dining room awesome for entertaining & enjoying company or family. 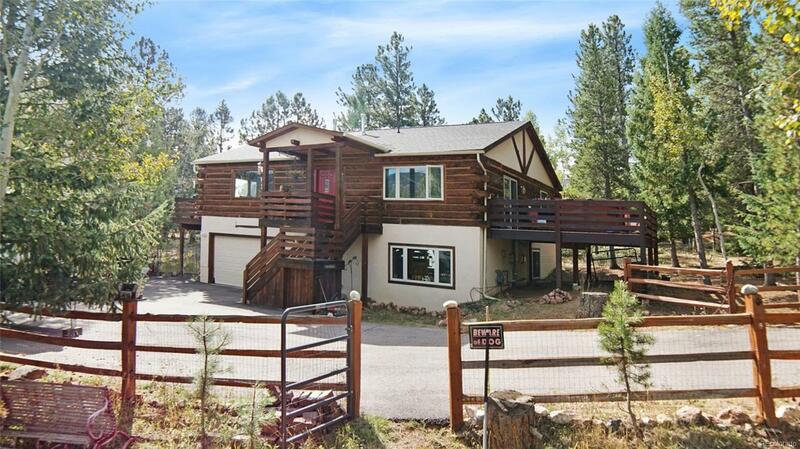 Main floor features master bedroom w/trex deck & hot tub (new in 2013) to relax, enjoy the perfect location, watch wildlife and decompress. 2nd bedroom and bath on main floor. The lower level features a rec/family room w/wood burning stove (new April 2018), as well as 3rd bedroom & bath. The lot is fenced for furry friends. There is RV parking, 12' x 16' lofted shed, oversize attached garage & lots of fresh air and quiet. Home has Radon Mitigation system, and will have new roof prior to closing. Seller offering a one year home warranty. 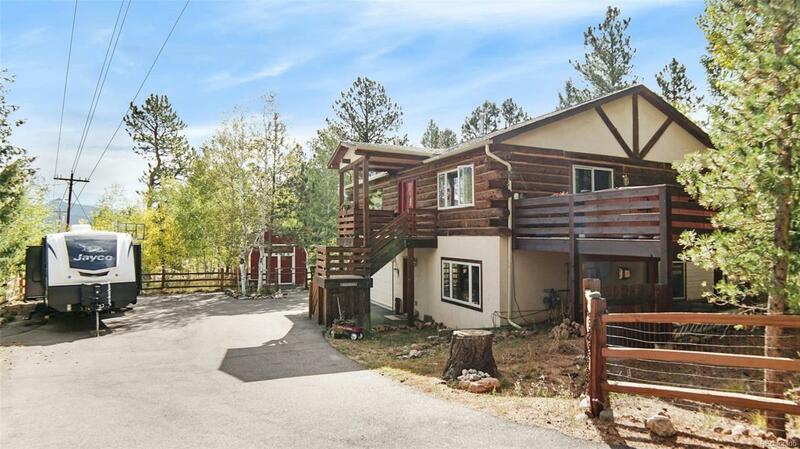 This is a home you will never want to leave!